If you're planning a getaway to Logrono and you don't know a whole lot about it, don't stress — we can fill you in! 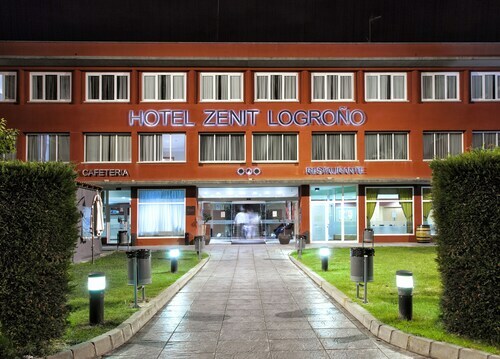 To help get you oriented, Logrono is located 100 miles (161 kilometers) to the northwest of the noteworthy city of Zaragoza. Are you eager to meet a few locals? That shouldn't be an issue. 150,000 people call this part of Logrono - La Rioja Media home. Arrange your Logrono flight and accommodation package via Travelocity, and watch the savings roll in. With upwards of 400 airlines and 665,000 places to stay, you'll have a world of choice at the tips of your fingers. Our Customer 1st Guarantee gives you 24/7 personal assistance on everything from accommodations and flights to car rentals and activities. Discovered a better deal somewhere else? We'll match the price and refund the difference^. If needed, you can change your package bookings with no extra fees on our end. You know what that means, right? Less for you to worry about. And so long as you get in quick, many accommodations won't charge you either^. 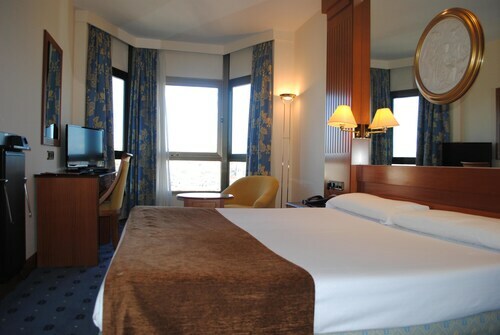 It's time to stretch your wings and get inspired by Logrono, and the best place to start is with your accommodations. Travelocity has 16 exceptional options just waiting to be booked. When you've got all those unforgettable vacation experiences to plan, who wants to waste time searching for a place to stay? Don't stress, we've done all the hard work for you already. The Hotel Calle Mayor and AC Hotel La Rioja by Marriott are a couple of our favorite properties here. Where do you fly into for Logrono? Put your seat in the upright position, fasten your seatbelt and get set to experience Logrono! Once you hit the runway at Vitoria Airport (VIT), the main streets will be only 30 miles (48 kilometers) to the southeast of here. Can I rent a car in Logrono? Book a rental car via Travelocity and discover Logrono at your own pace. If you could do with some spiritual enlightenment on your getaway, call in to San Bartolome Church. Who knows, you might even discover the answers to a couple of life's most important questions! Want some more options? Abandon your history journals! Witness the past jump to life at Museo de la Rioja. And that's not all. If you could do with a little spiritual enlightenment on your travels, drop by Church of Santiago el Real. Who knows, you might even discover the answers to a couple of life's most pressing questions! Visit Logrono for its distinct personality and style. That said, you've also got famed tourist attractions right around the corner! The Guggenheim Museum Bilbao draws people from all nations. Zaratamo, about 55 miles (89 kilometers) from Logrono, is a convenient base when visiting this unforgettable attraction. Located in Logrono Historic Centre, this hotel is within a 5-minute walk of Church of Santa Maria de Palacio and Calle del Laurel. Concatedral Santa Maria de La Redonda and Ermita de San Gregorio are also within 5 minutes. Logroño Station is 17 minutes by foot. Located in Logroño City Centre, this apartment building is within a 10-minute walk of Sala de Exposiciones Ibercaja and Calle del Laurel. Museo de la Rioja and Church of Santiago el Real are also within 15 minutes. Logroño Station is 12 minutes by foot. 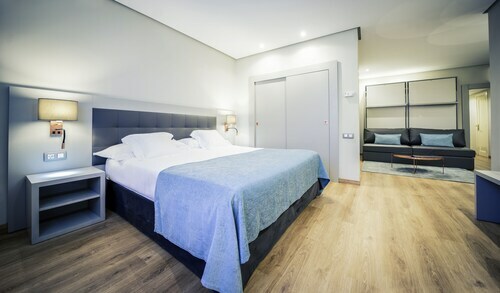 Located in Logroño City Centre, this hotel is within a 5-minute walk of Sala de Exposiciones Ibercaja and Calle del Laurel. Concatedral Santa Maria de La Redonda and Museo de la Rioja are also within 10 minutes. Logroño Station is 11 minutes by foot. Located in Logrono Historic Centre, this hotel is within a 10-minute walk of Puente de Piedra and Calle del Laurel. Ermita de San Gregorio and Church of Santa Maria de Palacio are also within 5 minutes. Logroño Station is 20 minutes by foot. 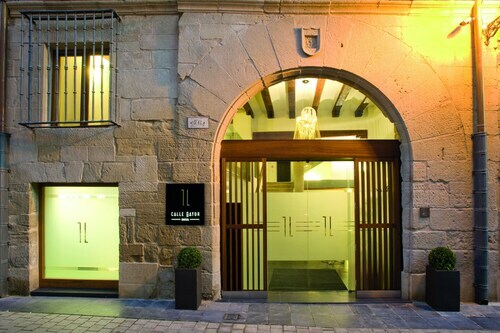 Located in Logrono Historic Centre, this hotel is steps from Museo de la Rioja and Calle del Laurel. Church of Santiago el Real and Concatedral Santa Maria de La Redonda are also within 10 minutes. Logroño Station is 17 minutes by foot. 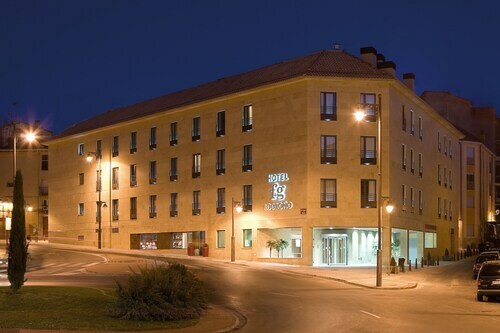 Situated in Logroño, this hotel is 1.7 mi (2.7 km) from Casa de Las Ciencias and 2.1 mi (3.4 km) from Calle del Laurel. Puente de Piedra and Bodegas Franco Espanolas are also within 2 mi (3 km). 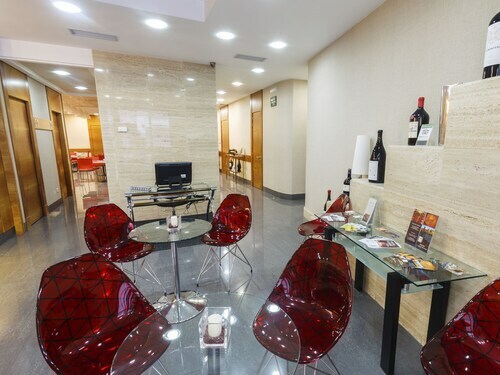 Located in the heart of Logroño, this hotel is 1.2 mi (2 km) from Museo de la Rioja and 1.3 mi (2 km) from Calle del Laurel. Sala de Exposiciones Ibercaja and Church of Santiago el Real are also within 2 mi (3 km). Logroño Station is 27 minutes by foot. Located in Logrono Historic Centre, this hotel is within a 5-minute walk of Museo de la Rioja and Calle del Laurel. Church of Santiago el Real and Sala de Exposiciones Ibercaja are also within 10 minutes. Logroño Station is 17 minutes by foot.